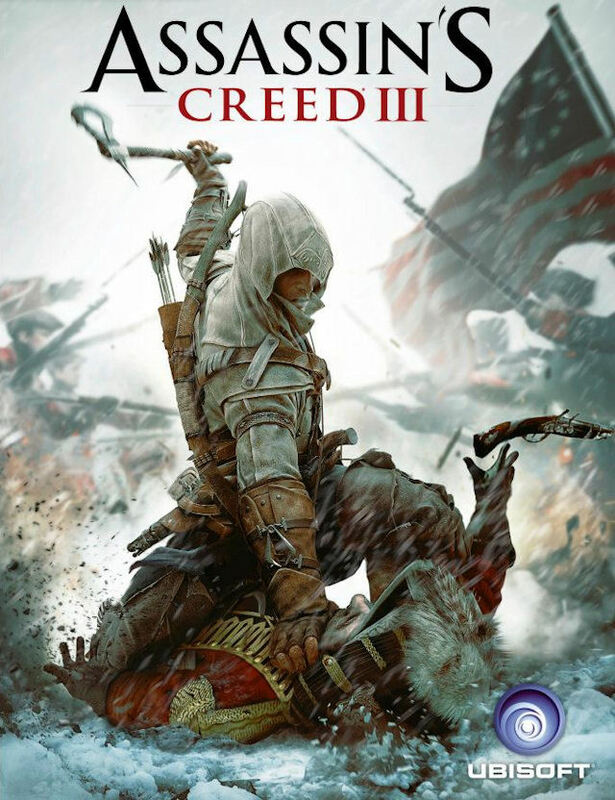 “ASSASSIN’S CREED III INVITES PLAYERS TO EXPERIENCE THE UNTOLD STORY OF THE AMERICAN REVOLUTION THROUGH THE EYES OF A NEW ASSASSIN, CONNOR. Assassins Creed III will be the fifth major game of the series (Assassins creed, Assassins creed 2, Assassins Creed: Brotherhood, Assassins Creed: Revelations). The Game will take place in America during the time of the American Revolution and focus on a Half-Native American, Half-European Connor Kenway (Yeah that’s right the game will not focus on previous protagonist like Altair Ibn-La’ Ahad and Ezio Auditore.). The game will also focus on the present day protagonist Desmond Miles. UbiSoft has been making this game up to be the biggest and epic game of the series. They are claiming that the world (Frontier) in Assassins Creed III is 1.5 times bigger than it was in Assassins Creed: Brotherhood (if you have played AC: Brotherhood you already know that was huge). Also the game is packed with a slew of new features including new battle system that was rebuilt from the ground up to better suit Connor who favors duel wielding weapons, Changing weather, side missions, and the new AnvilNext free running system. Let me put it this way I already have mine preordered… The game is going to be epic, end of story…. That this doesn’t turn out to be underwhelming like revelations kind of was for me….